The works of two of the world’s greatest poets will come together for a one-week program to be held on June 25-29 for ages 5 through 14. Like NBYT’s year-round Stage Performance classes, this is ideal for younger actors, children who want their first experience onstage—or a little more experience—or even older students who aren’t able to audition and rehearse for full productions (like this summer’s Seussical Jr. which still has openings). The group will be divided by age for some scenes and activities, but all children will explore acting, voice, movement, and improvisation in order to develop focus and learn to work together as an ensemble. They’ll also learn a little about Shakespeare and some things they probably didn’t know about Dr. Seuss. Family and friends will be invited into the final 45 minutes on Friday for a share day performance based on works by the Doctor and the Bard! 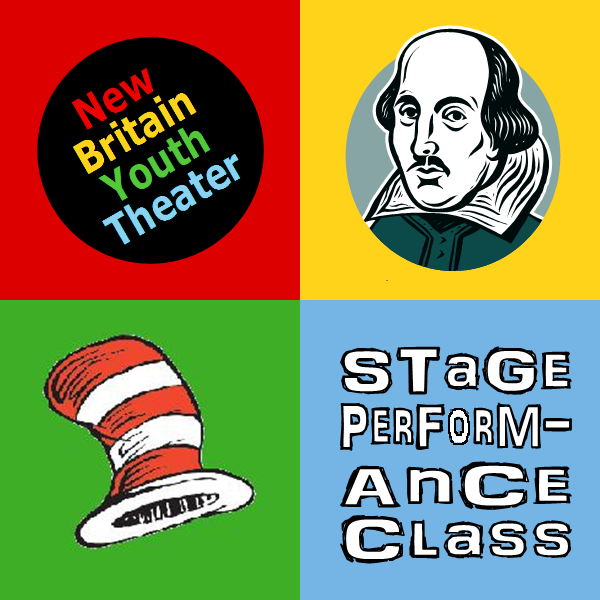 For more details (including a Registration Form to download) visit the Programs page of the NBYT website or call 860-515-8115.